Note: A minimum quantity of 100 must be ordered, and in units of 4 thereafter. 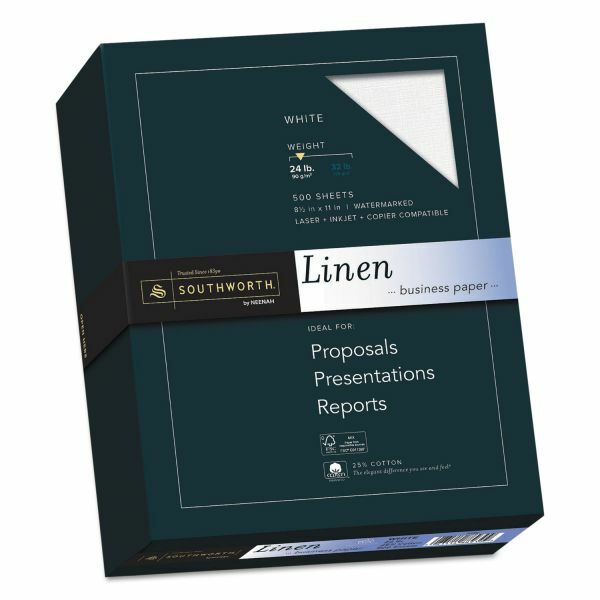 Southworth 25% Cotton Linen Business Paper, 91 Bright, 24 lb, 8 1/2 x 11, White, 500/BX - Paper offers 25 percent cotton fiber content and a fine linen finish. 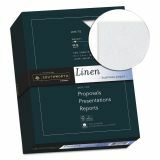 Ideal for letterheads, reports and presentations. Each sheet is watermarked and date-coded for authentication. Use acid-free paper in laser printers, inkjet printers and copiers. 24 lb. paper is made with a high percentage of recycled material.